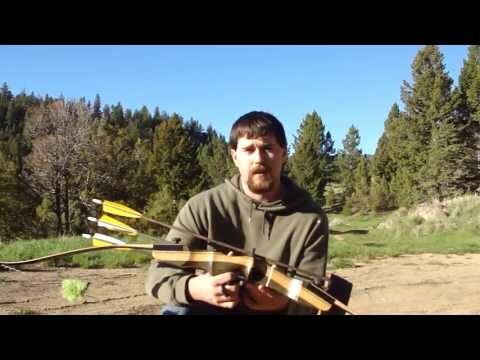 Finding the right recurve bow depends upon each individual’s unique needs. There are too many makes and models available to simply choose at random – ThegearHunt has stated that more than 1000 different bows are available in the market and the majority of those are meant for sports and hunting. You likely want to get past the difficulty in choosing so you may hurry and get to the enjoyable part of experiencing target shooting or bow hunting. To help you with that we have created this website to make it extremely easy for you to find the best recurve bow for your particular needs, regardless of whether you are looking to hunt, target shoot, or even to someday become a member of the World Archery Federation. 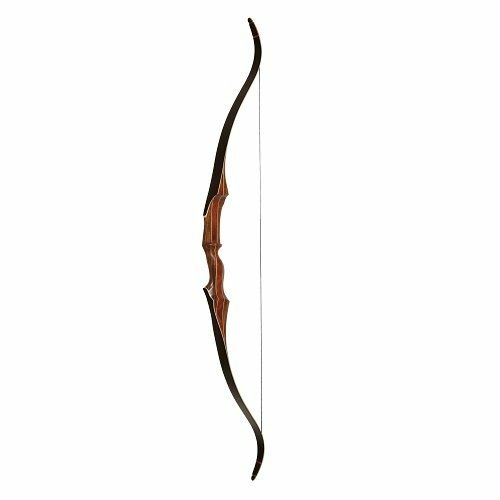 Below you will find some of the most popular bow models, based on price, body weight, skill level, purpose, age, and affordability. 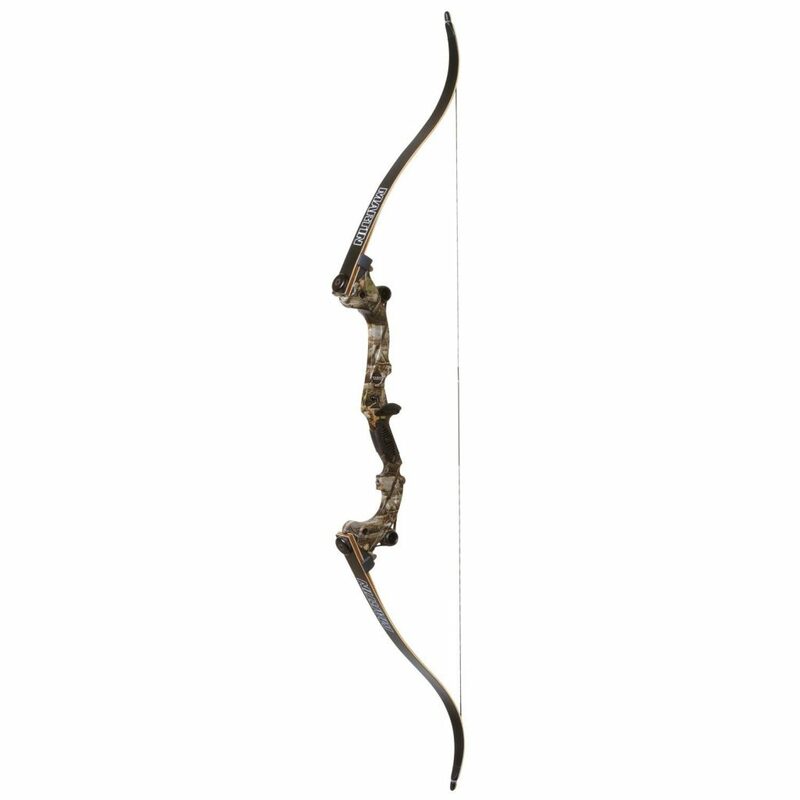 The Sage is a take-down bow with a bow length of 62 inches and a bow weight of 3.4 pounds. The riser is built with a classic style while still being simple and effective. Its simplicity is what makes it ideal for beginners. The Samick Sage is a reliable piece of equipment with no complex hardware. Because there is little chance of any component breaking, it will be easier to control and adapt to for amateurs. The limbs of the Samick Sage are resilient and strong. Unlike other inexpensive recurve bows, the limbs of the Sage resist twisting as they are made of hard maple encased in a layer of fiberglass. Some lower-priced recurve bows feature exceptional components for the price, but still fall short in actual performance. The Sage, on the other hand, provides a smooth draw with no vibration, operates quietly and is extremely accurate due to its size. The Martin Jaguar is a take-down bow with a length of 60 inches and bow weight of 2.82 pounds. The riser is made from aluminum and magnesium, making it durable and lightweight when compared to wooden recurve bows. The riser’s large size helps it to absorb energy and reduce vibration better. The Jaguar’s limbs are made from laminated wood and fiberglass and can be taken apart to make storing and transporting the bow easier. When put together, the unit is constructed durably without the need to tighten its bolts. The Martin Jaguar allows for great accuracy due to its length, low vibration and the lack of grip torque. The grip is comfortable enough to allow for accurate shooting and the bow is easy to tune, allowing for better consistency. The Jaguar is a great choice for beginners as it is inexpensive and low-maintenance. It is also easy to aim, accommodating for the mistakes often found in a beginner’s form. It can accept a number of accessories to enhance its use, including an arrow quiver, pin sight, and stabilizer. The Martin Jaguar makes for a good hunting bow as it is lightweight, quiet and easy to maneuver. The Martin Saber is 64 inches long with a weight of 3.4 pounds. 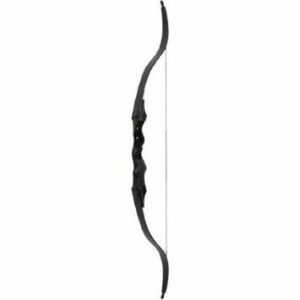 It is suitable for both hunting and target practice and is an optimal choice for amateur and intermediate archers alike. It features a riser made of aluminum, providing a durable and lightweight alternative to more traditional bows. The Thermal V dampening grip is comfortable and sweat-resistant, and Vibration Vortex VEMs help reduce vibration even more. The bow’s limbs are made of laminated wood and glass. They are very durable and will not bend with time like many other models. The limbs can be quickly removed from the riser by undoing the screws, removing any restraints that would have been caused by its large size. The Saber shows incredible accuracy and is forgiving to common errors made by beginner archers. It is accurate even in the toughest weather conditions. The draw weight can be placed at up to 55 pounds, making it great when used for hunting. The size, however, may cause issues when used from a stand or other barrier, so it may be best to use this bow when hunting in open terrain. The Bear Grizzly is a 58-inch bow weighing less than 2 pounds. It is best designed for hunting and can be used with archers of all skill levels. Its limbs are custom-made from northern hardwood and pose no risk of warping or twisting under normal conditions. The long length of the bow makes it accurate enough to handle both target practice and hunting with precision. The light weight makes it perfect for carrying around during longer sessions. As a bonus, the Bear Grizzly also offers an aesthetic appeal in its elegant design. The model’s riser features a well-positioned shelf that facilitates shooting even for amateur archers. The finish on the limbs protects them and prevents the absorption of moisture. The included string, unlike most kits for this price, is ready to shoot with right out of the box. Recurve bow reviews for this model imply that shooters see a significant improvement in arrow grouping with the Grizzly. The accuracy is close to what one would expect in a more high-quality model. In addition, the light feel is no problem for beginners. 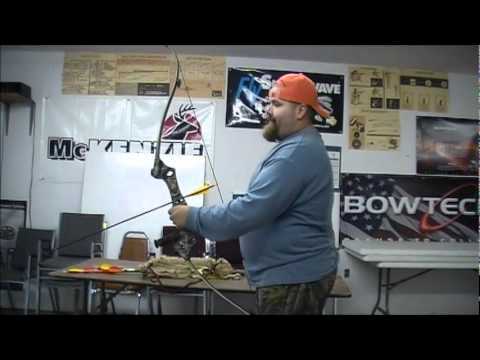 The lack of vibration and sound when using the bow make it a prime choice for hunting large game, even bear, and elk, as the archer can sneak up on prey easily. 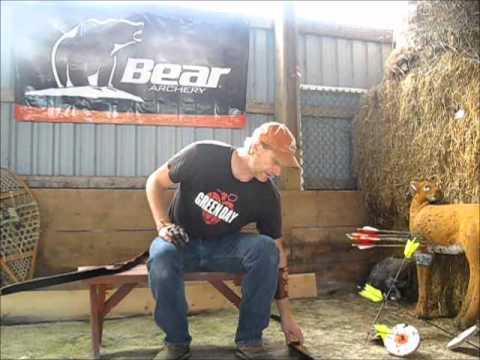 Instinctive Archery – Bear Grizzly review. The Martin Hunter weighs just over 2 pounds and comes in at 62 inches. It is a high-quality bow that is still suitable for beginners. The good-looking instrument features a hard and durable riser. It is smooth in appearance with no inconsistencies in its structure. The Hunter’s limbs are made from a hard maple core that is covered with tough fiberglass. The limb tips are reinforced, allowing them to accept the finest strings available on the market. It offers a very comfortable grip, even when fully drawn. The unit’s included string is thick enough to hold the arrow firmly while being able to release it effortlessly. It works well for beginners and experienced archers that need a bow that performs powerfully without causing excess strain on the muscles. The Martin Hunter shows superb accuracy, with tight groupings even for beginners. The model is likely to accommodate archers that are still learning proper form or grip techniques. The unit produces little to no vibration upon release and is prone to performing based on the user’s action, instead of being difficult to control. This bow is easy to use, but it is also extremely powerful with the right arrows. The Super Kodiak bow from Bear Archery is 60 inches in length and weighs 3 pounds. As it is a one-piece unit there is no assembly required before using. The limbs are built strongly as is the included string. The Super Kodiak is easy to tune upon use and easy to maintain over time. This bow makes great use for hunting as it is quiet when shooting, easy to carry and offers excellent action from the limbs. The bow is also superbly fast. This is a great feature for game hunting as it gives the target no time to escape the arrow even if the archer is detected when releasing. The Bear Kodiak is very comfortable to hold and to aim, with a unique grip. Its riser is well-polished, comfortable and made from black wood. The limbs and limb tips are strengthened with fiberglass and are unlikely to twist or splinter even after prolonged use. Adding to the craftsmanship, the arrow rest is durable as well, in addition to being stable enough to help the arrow clear the bow. Although the Kodiak weighs more than some models, it should still be easy enough to aim, even for those with weaker muscles. When just starting out, trying to choose the top recurve bow can seem overwhelming. There are many bows to choose from, and finding the best bow can be a bit of a struggle. Picking the right bow can make a world of difference in accuracy and form. Fortunately, there are numerous models available with the amateur archer in mind. 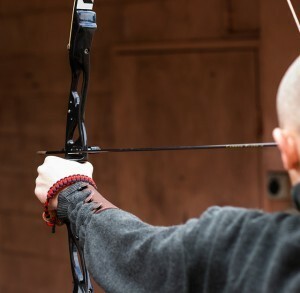 The best beginner bows are usually forgiving to the flaws in an amateur’s form and are easy to maneuver. Some of the best beginner recurve bows have been compiled below. The Ragim Wildcat is designed to be as helpful as possible as a beginner recurve bow, including everything an amateur needs to get started with archery, such as arrows, a quiver and an instruction book. The Wildcat is made to develop with the archer’s skill, and its limbs can be replaced with heavier ones as skill enhances. 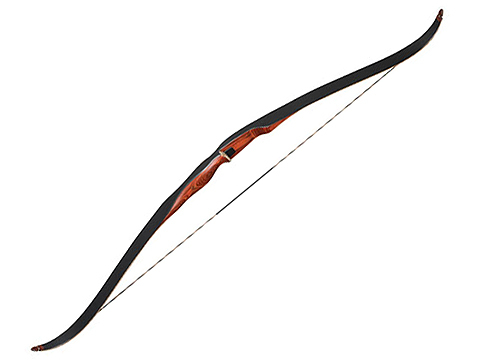 Many bows are suitable for target shooting, but some are reliable for game hunting as well. The best recurve hunting bow will be one that can shoot quietly, release quickly and feel comfortable enough to carry around during the trip. When hunting with a recurve bow it is essential that the archer can approach and fire without disturbing prey. Similarly, the bow should be able to release quickly before the target can run away if alerted to the archer. The best bow for hunting should also be lightweight, or, at the least, easy enough to carry around through the duration of the hunting session. The Hoyt recurve bow is the most popular brand manufacturing recurve hunting bows. They are perfect in their design and innovated to the perfection degree. The Hoyt recurve hunting bows are not designed for the beginner hunters, but for the professional ones. They have a comfortable grip, are light and have very good accuracy. The Hoyt recurve hunting bows are very popular and very highly appreciated among the professional hunters. They are very expensive, but at the same time, there is a balance between the quality and the price. So if you want to buy a recurve hunting bow having the highest quality, you should be ready to pay a little more. As a result, you can use your hunting bow for a long time without repairing your recurve bow and paying extra money for it. The Hoyt recurve hunting bows offer two series of competition bows and four series of hunting bows. Each of them is unique and has particular shape proper to its goal. The Hoyt bows are considered to be the top end bows and are competitive in Olympic games. No matter you are going to use your recurve hunting bow for competitions or just for hunting you are offered a wide range of competitive and hunting bows of the highest quality. They offer a wide range of accessories and colors, so the choice is wide and you can find any form and color you like. The Hoyt Buffalo and the Hoyt Gamemaster II are the most famous bow types. These are technologically advanced types of recurve hunting bows. They are considered to be the most comfortable, stable and durable one-piece hunting bows. They are also described as consistent hunting bows. They are in the top in terms of their smoothness. 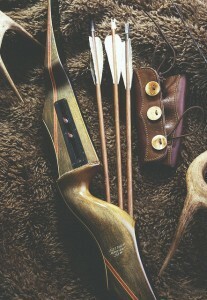 The Hoyt Buffalo bows give an opportunity to tune to personal style so as it becomes the extension of one’s own arm. They are made of premium quality materials and are very lightweight to hold on one’s hand. It is very pleasant for a hunter to hold a bow, which is very light and at the same time is of the highest quality. Hoyt Gamemaster II recurve hunting bows are best sold because of their super-slim and durable riser. They are described to be very fast. Another important factor is that the grip is replaceable and it has a take-down construction. The hunting bow is very easy to use in woods. Besides the Hoyt Gamemaster II recurve hunting bows are suitable both for the beginners and the archers. The Hoyt recurve bows offer the sharpest bows. They are intended to kill the prey immediately after they are shot. Another attractive thing about the Hoyt recurve hunting bows is that they suggest wide collections of clothing. There are both man and woman clothing collections. So the Hoyt recurve hunting bows are very attractive and worth buying. Anyway, if a person is interested in hunting he takes into consideration some facts that are important. And in this case it is impossible not to notice the Hoyt recurve hunting bows. One should strongly believe that this brand is the best solution to make their dream come true. 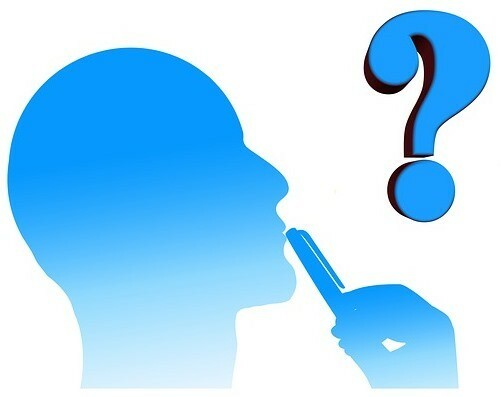 For a beginner or someone that is not sure of their future dedication to the sport, spending a large amount to try it out at first would not be the wisest choice. Because of this, it is often best to begin with rudimentary options to get the feel of it before moving on to advanced bows and accessories. 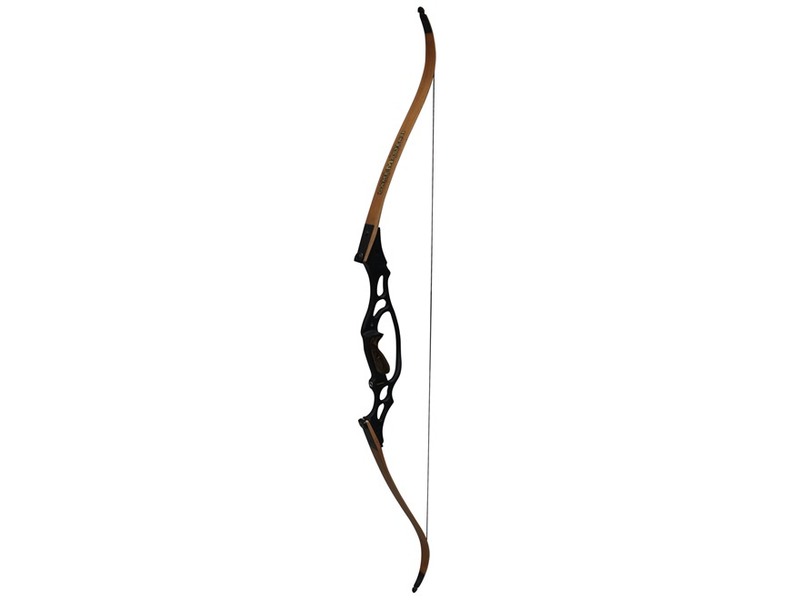 A good but affordable bow will be powerful and strong while still staying within a realistic budget. When used for hunting, a cheap bow will have a draw weight at a minimum of 40 pounds for effective penetration. The following list includes some of the most efficient recurve bows for sale at low prices. 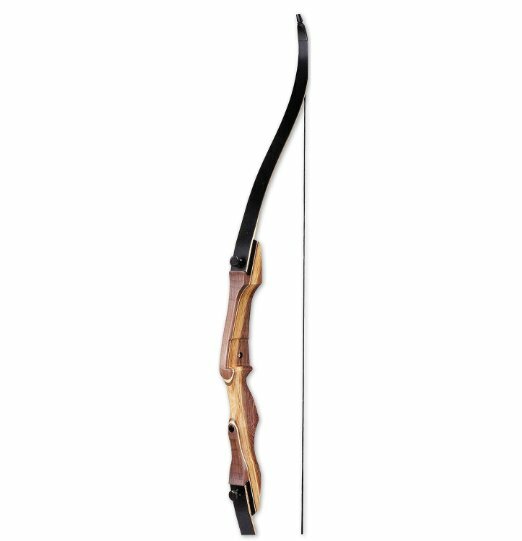 The Martin XR is designed to be an ideal bow for children, but as an adult recurve bow it may be too weak. This extremely affordable model can be used with right-handed or left-handed users. It facilitates more accurate shooting through its 46-inch bow length and elevated arrow rest. Its simple design makes it easy to use. The recurve bows as a special type of a weapon are widespread and well known in all over the world. The archers use the “recurve bow” or just “recurve” generally in Olympics or in some other competitive events. Recurve bows have a long history and are known from eight century BC. Though they are listed in the oldest versions of weapons, they are very popular, fashionable and trendy nowadays. The modern recurve bows are mostly popular within the sport archers in Europe and Asia. Recurve bows are used among the beginner, amateur as well as the professional archers. Each of them may have a choice in different types and shapes of recurve bows. They also differ in their weight and one other very important factor that is the degree of the noise they are making. Advanced technologies and expensive materials are used by the manufactures to make original recurve bows with various shapes and sizes. To make the limb, which is the upper and the lower parts of the recurve bow, multiple layers of fiberglass, wood, and carbon is used. The center section of the recurve bow is the riser. It is mainly separate and is made from carbon, wood, aluminum alloy and magnesium. That is to say, everybody can buy a recurve bow proper to his/her degree of professionalism, likes and interests and of course proper to his/her pocket and satisfies his/her own needs. There are numbers of manufacturers that make recurve bows. Some of them are so much popular that they are known as recurve bow brands. The most famous of them are Martin bows, Samick bows, Fred bear bows, Hoyt bows. Some description of the mentioned recurve bow brands is made below to help you to find the exact type of the recurve hunting bow you are looking for. 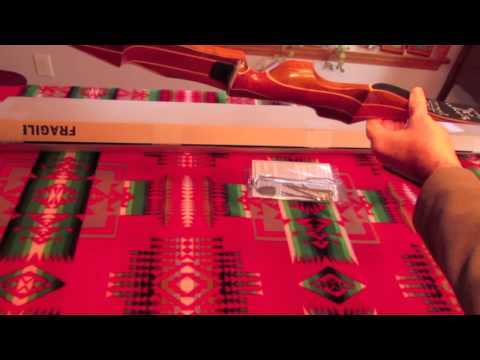 The Martin bows are considered to be the easiest and the most accurate bows in the world since 1951. The Martin saber recurve bows length is 64 inches, they weight 3.4 lbs., their draw weight is 30, 35, 40, 45, 50, 55 lbs. The hunting bows have takedown limbs, which is for increasing the weight when you get stronger. 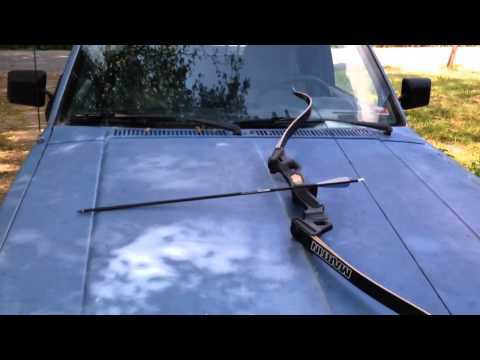 These types of bows are intended both for hunting and for target practice. 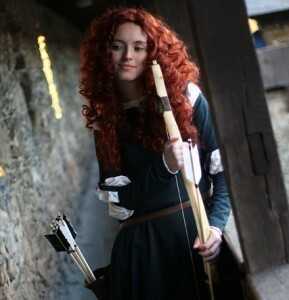 Martin saber bows are used by the beginner archers and the intermediate ones. Martin saber bows are of high value and high-quality productions. Due to the fact that the riser material is aluminum, the bow becomes more durable and lightweight. They are very comfortable to take in hand. Thermal V protective dampening grip is made by the manufacturer, which makes the hunting bow comfortable to hold and shoot. And besides, they integrated two Vibration Vortex V.E.M.’s in the riser, which makes the vibration further any makes the sound of shooting less loud. Rubber is the material that the arrow is made. The Martin saber limbs are made of wood and glass and the limbs do not bend soon. The hunting bows are very durable and powerful to shoot with complete authority. The Martin saber hunting bows are Take-down, which is very comfortable for transportation. So the Martin saber hunting bows are proper to beginner, intermediate, and advanced shooters. They are very effective, simple and comfortable to use and transport anywhere you want. 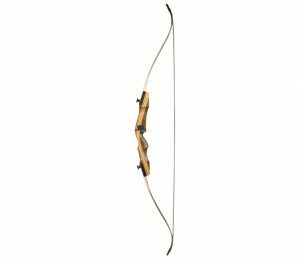 Martin Jaguar recurve bows length is 60 inches, they weight 2.8 lbs., their draw weight is 30, 35, 40, 45, 50, 55 lbs. The hunting bows have takedown limbs, which is for increasing the weight when you get stronger. Martin Jaguar bows are both for hunting and for target practice. Martin Jaguar bows are used both by the beginner archers and the intermediate ones. These type of bows are very comfortable and reliable. They are designed wonderfully and are of take-down construction, which is for easy transportation and usage. They cost little money and are proper to any pocket. The design of the Martin Jaguar bows is very attractive. They have very beautiful shape. They have a simple view, but at the same time they are designed modernly are very appealing. Martin Jaguar bows have light-weight, that is to say, they are easily transported from one place to another and are easy to hold on one’s hand. No vibration is felt when shooting. Due to aluminum and magnesium, that is the materials they are made from, they are sturdy. 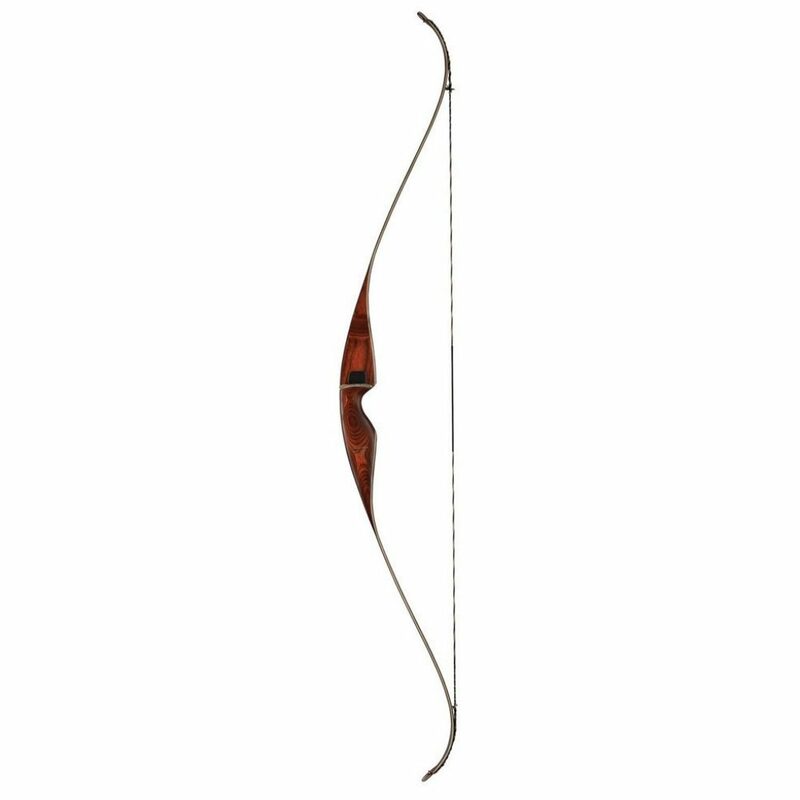 The limbs of the Martin Jaguar bows are of good quality that provides years’ guarantee for safe usage. They are made of wood and are laminated with fiberglass. So these types of bows are beautiful, easy to transport and are good for the beginners. There are three top types of Samick recurve bows: Samick Sage, Samick Journey, and Samick Polaris. The length of the Samick Sage is 62, the bow of the Samick Sage weights 3.4 lbs., the draw of the Samick Sage weights 30, 35, 40, 45, 50, 55 lbs. It is also described as take-down. The length of the Samick Journey is 64, the bow of the Samick Journey weights 3.4 lbs., the draw of the Samick Journey weights 30-60 lbs. It is also described as take-down. The length of the Samick Polaris is 48, 54 or 62, the bow of the Samic Polaris weights less than 3 lbs., the draw of the Samic Sage weights 30, 35, 40, 45, 50, 55 lbs. It is also described as take-down. Samick Sports come from Korea, but their products are sold in over 50 countries. The company sponsors a number of competitive archers from all over the world. Samick bows are used both for hunting purposes and for pleasure. Samick recurve bows are highly recommended. They are of high quality at the same time are not so much expensive. They are very pleasuring, nice, smooth shooting. Samick recurve bows are divided into three categories: takedown6 bows, one-piece bows, and longbows. They are used by both the beginners and the advanced ones. The Samick recurve bow users are very satisfied with their hunting process and they get the highest pleasure when hunting. Fred Bear was the founder of these type of the recurve bows since before World War II. These types of bows give you a chance to have a bow like the one your father or grandfather had. The Bear Grizzly, the Bear Super Kodiak, and the Bear Kodiak Cub are the most famous types of Fred Bear recurve bows. The length of the Bear Grizzly is 58, the bow of the Bear Grizzly weights about 2 lbs., the draw of the Bear Grizzly weights 50, 55, 60 lbs. It is not take-down. The length of the Bear Super Kodiak is 60, the bow of the Bear Super Kodiak weights 3 lbs., the draw of the Bear Super Kodiak weights 20, 30 lbs. It is not take-down. The length of the Bear Kodiak Cub is 24, the bow of the Bear Kodiak cub weighs about 1.7 lbs., the draw of the Bear Kodiak Cub weights 20, 30 lbs. It is not take-down. Bear recurve bows are designed very accurately. They are very strong and have traditional views. They are of top quality and are con6sidered to be works of art. These types of bows have been in production for many years. This brand offers 11 different types of bows that are one-piece, only one type is take-down. 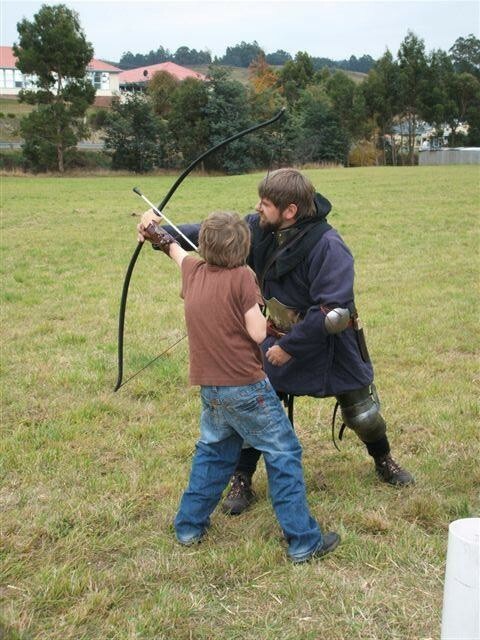 There are bows designed for youth usage and for children, who are interested in bow shooting as well. So these bows are traditional and they also offer their modern versions. Hoyt Archery manufactures the world most famous recurve bows. There are 3 top types of Hoyt recurve bows famous all over the world. The Hoyt Buffalo Recurve Bow, Hoyt Gamemaster II and Hoyt Tuburon Recurve bows. The length of the Hoyt Buffalo Recurve Bow is 60, its bow weights 3.2 lbs., its draw weights 45, 50, 55 lbs. It is described as take-down. The length of the Hoyt Gamemaster Recurve Bow is 62, its bow weights 2.9 lbs., its draw weights 25, 30, 35, 40, 45, 50, 55 lbs. It is described as take-down. 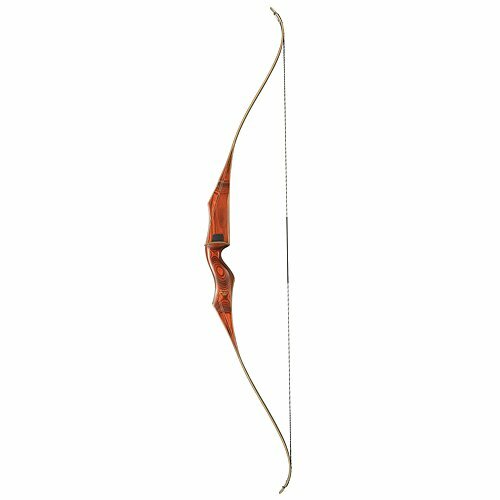 The length of the Hoyt Tuburon Recurve Bow is 62, its bow weights about 3.2 lbs., its draw weights 25, 30, 35, 40, 45, 50, 55 lbs. It is described as take-down. The Hoyt bows are described to be durable and accurate. They are a little bit expensive to the highest quality. These types of bows are considered to be consistent. So the Hoyt bows are one of the world’s most famous, most expensive recurve bows. But the brand offers the best quality at the same time. Those with smaller physiques, such as children and shorter women, will have different needs when it comes to choosing a bow. The best youth bow will help the young archer develop muscle strength, enhance joint flexibility and learn to draw and release the string. A youth recurve bow should be flexible enough that it allows the child to develop and enhance the model as skill increases. An ideal bow will not be too hard to pull for the smaller body, but it will also not be so light that the body does not adjust properly. Such adjustment and improvement is necessary to move on to more advanced bows later. When choosing a kids recurve bow, keep in mind that some children will be stronger than others, and may be able to advance more quickly. 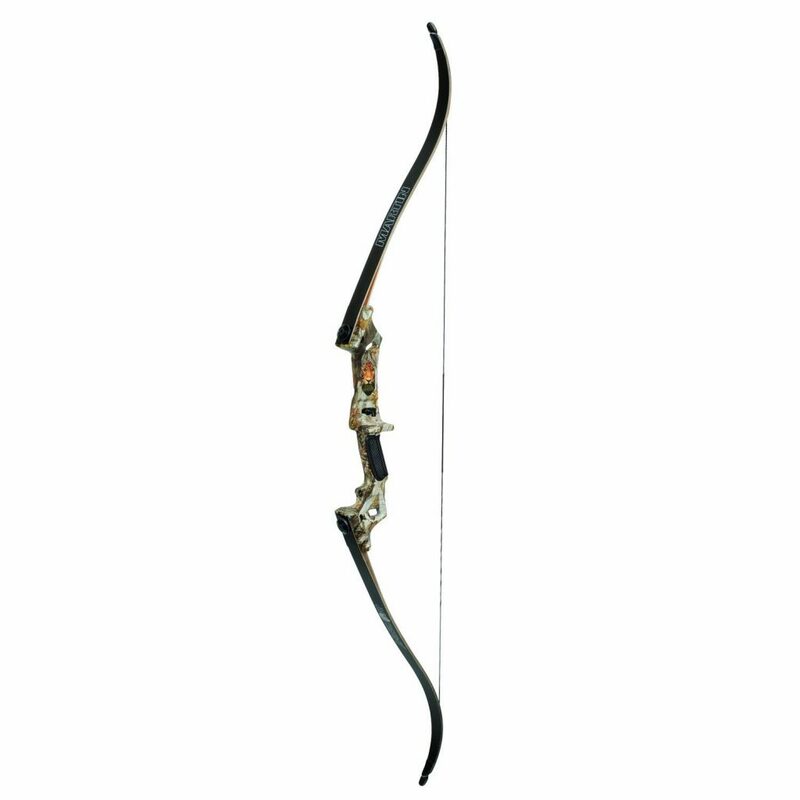 One of the best bows for archers of this size and skill level is the PSE Razorback. The PSE Razorback is a lightweight and accurate bow that works well as a starter model for women and kids. It works as an affordable unit for those just starting out, and offers exceptional durability for its price. Its take-down structure comes in a 62-inch length, making it easy to transport when taken apart. The Razorback also offers a range of draw weights from 20 to 30 pounds, making it ideal for youth, women and beginners that may not need a heavy draw weight from the start. The length offers the user the balance and smooth draw necessary for effective shots. This unit is a smart and inexpensive choice for smaller women and children to use for target practice. It is also suitable for those first starting that need to get the hang of the sport. Despite its limited application, however, it is still very accurate for its purpose. The bows selected for each criterion were chosen carefully to ensure the best quality and experience for those archers that research and utilize the information. The compiled list was diversified well enough that nearly every archer would be able to find the right bow for their own needs or for those for whom they are making the purchase. Even still, each shooter will have their own unique preferences for what they want in their own experience. The following details the requirements for each bow to have been chosen. Every bow was researched extensively before being selected as a recommendation. The models have been tested and checked for details, including performance. Each adult bow is capable of reaching or exceeding 30 yards in shooting distance. Only the most adequate or relevant bows were chosen from each archery brand. 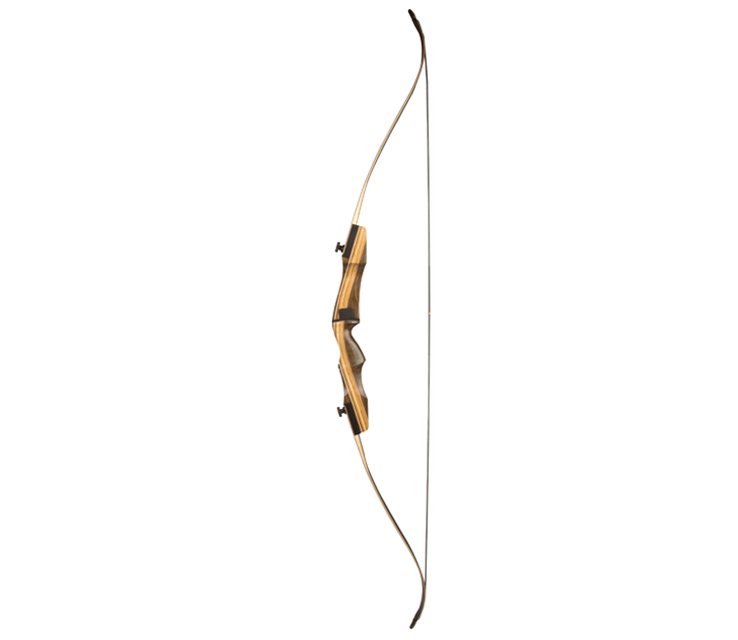 For price ranges, the bows with the best proven performance were always selected. Each bow has been shown to be safe to shoot with for each category. The recommended bows include strings with the highest quality, ensuring less vibration and noise and enhanced arrow flight. At this point you should have a better understanding of what it takes to choose the proper recurve bow for your needs. 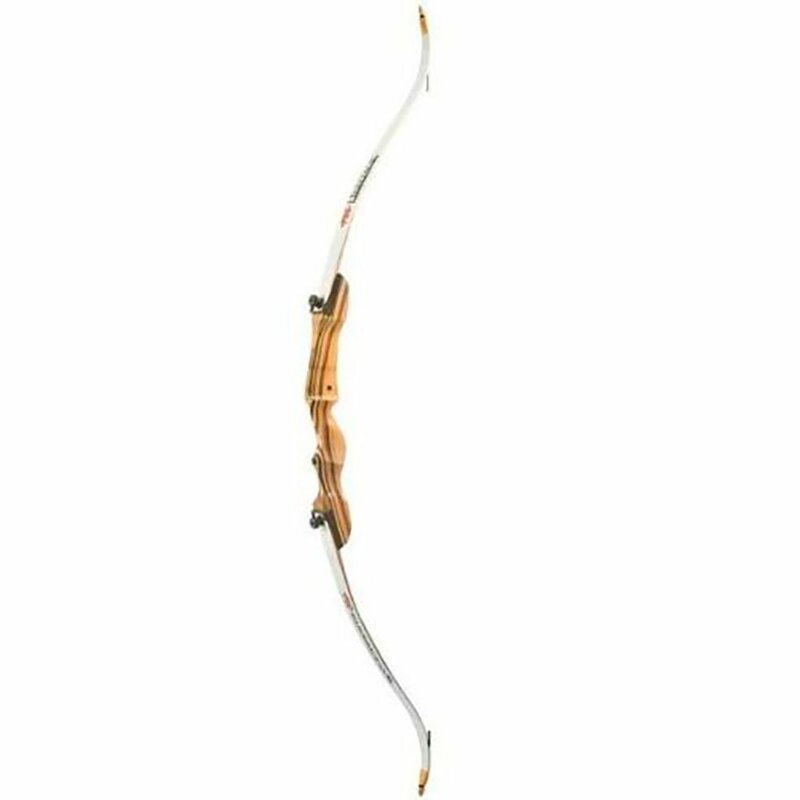 As previously noted, the best bow for you or the person for which you buy a bow will vary depending upon your personal experience and expectations. Even after your initial choice, those needs will also change as your skill level increases. You will want a bow that can adapt with you. After reading the included information, you should now be able to make a more informed decision. Some archers will need a bow that can accommodate their lack of skill if they are just beginning. Some want to get into the sport but may not have the financial resources to do so. Others may be small in size, or are looking for a bow for their child. 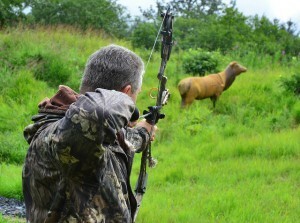 Even those with experience need to be able to choose a bow that will be effective when hunting game. No matter your special situation, you should be able to narrow your choices down from this guide. Even if you try a bow in your category at random, you are still likely to be pleased. One of the most important factors to keep in mind is to keep a proper draw weight match to avoid compromising your skill development and experience.